Telling our story is something most of us do all the time. Every time we meet someone new, or go on a date, or even interview for a job, we get asked about who we are and what we’re all about. And then every now and again, we meet someone who asks us different questions, holds a unique kind of space, and draws us out in unexpected ways. Recently, I had the chance to sit down with one of those people – an amazing man named Michael Knouse. Michael and I sat down and had one of the most amazing conversations I’ve ever had about my life, the art of living quirky, and the secret powers within your fear, your “you”ness, and the tiny actions that can change your life forever and lucky for you, we recorded the whole thing! Which is why I’m super excited to share the interview I did with Michael with all of YOU! While many of you have heard my story and have read many of my thoughts on Living Quirky, something about this interview made everything about our community and our mission seem totally new. 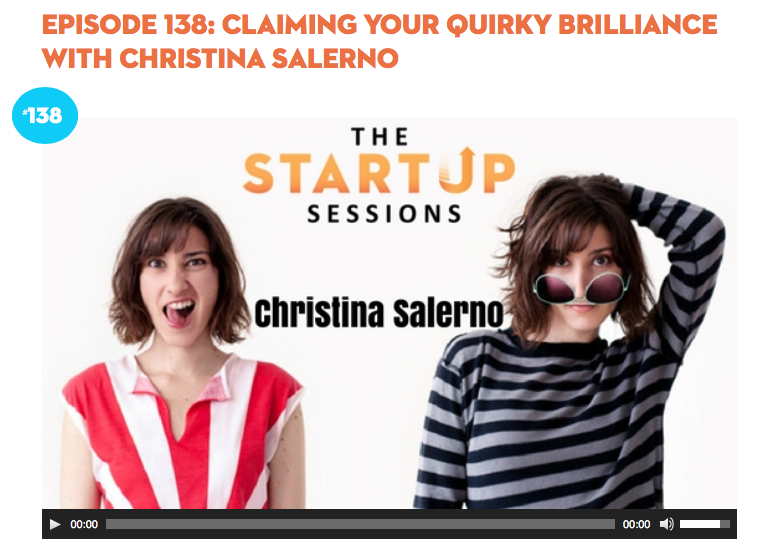 So if you’re brand new to Living Quirky or even if you’ve been with us for years, I hope you’ll take the time to listen to this amazing interview I did with Michael Knouse of the Startup Sessions. I think it will inspire you about your quirk in ways you never thought possible.